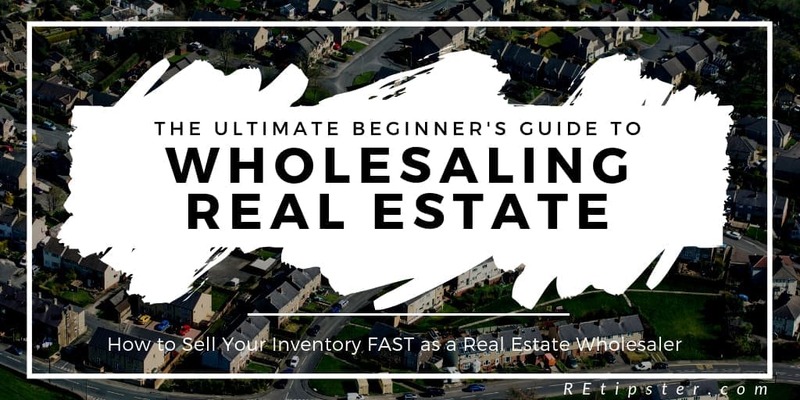 In this next stage of our real estate wholesaling series, I’m going to teach you every trick in the book about how to sell your inventory fast as a real estate wholesaler. Dispositions — or the action of distributing or transferring property to someone — is the activity in which wholesalers sell off their inventory. In Part 3, we covered all things Acquisitions, which is the aspect of buying (or acquiring) inventory. Specifically, we detailed how to find motivated sellers and analyze deals (so you’ll want to check that out before continuing here). Dispositions are actually my personal area of expertise, as I was the head of this department for nearly three years at Simple Wholesaling, a company that bought and sold an average of 28+ properties per month (at least while I was there). Today, I’m going to show you how to find buyers, market your properties for sale, and break down your entire work process into a simple checklist. In part two of this blog series, I broke down how there are three primary ways to conduct business as a real estate wholesaler. Each method has a different set of restrictions as to what degree you can market your properties. So, for the sake of this article, I’m going to solely focus on Dispositions from the perspective of a Traditional Close. The traditional close offers the most freedom when it comes to marketing inventory, so using this method as our primary example will provide the most depth on the subject. At the end of the post, I’ll also highlight the biggest restrictions of the other two methods, so if you choose to use one of them instead of the traditional close, you’ll be well prepared to do it successfully. The most important aspect of selling inventory as a wholesaler is having a solid buyers list. One of the major benefits of wholesaling as a business strategy is that in many cases, your buyers will be repeat customers. Roughly 80% of the inventory we had at Simple Wholesaling was sold to the same three people every month! Your buyers list doesn’t have to be massive to be effective — you just need buyers who know, like and trust you, and whose business is large enough to buy several properties on an ongoing basis. Buy-and-hold investors are typically the least frequent purchasers among the three, but they make the cut because they’re always expanding their portfolio. You may find a few who will buy every month, but it’s more common to see buy-and-hold investors buy every two, three or even six months. Rehabbers (also known as “Fix-and-Flippers”), are GREAT customers to find because they’re always trying to do more and more flips, and if they can outsource the headache of having to find great deals to you, you’ll become a great asset to their business. Rehabbers typically buy monthly, if not weekly, depending on the size of their operation. Turnkey companies are the BEST customers to find. You could literally base your entire business on “reverse” wholesaling to a handful of turn-key companies, and you’d be set. In case you don't already know, a turn-key company is a one-stop solution for outsourcing all things related to buy-and-hold investing. They find the deal, rehab it (sometimes just partially, to get the property in good working order), get it rented and manage it. All their buyers have to do is give them money for the purchase (post-rehab), and then the turnkey company will handle the rest. The returns aren’t as good as if you managed the process yourself, but, as an example, in Indianapolis, I knew of several turnkey companies that would routinely provide 12-14% ROI for their customers, which is pretty good — and it’s hassle-free for the end buyer. If you can find a solid turnkey company, master their criteria and start finding them investment properties, you’ll have all the business you could ever want! These guys buy A LOT. Our top buyer at Simple Wholesaling (which was a turn-key company) would sometimes buy 15 – 20 properties at a time. Another great thing about these buyers is that they typically spend more and are less picky when it comes to inventory. Why? Because they can get great deals on rehab costs with the huge volume of properties they work with. Now that we've covered what kind of buyers you want to target, let's explore how you actually find them and begin sending them opportunities. There are six major ways to find buyers, so let’s dive into each one individually. There are a TON of real estate investor networking events in almost every market (if there isn’t one, then be the guy or gal who starts it — you’ll instantly be seen as an authority figure). Whether it’s people from BiggerPockets, REIAs, Eventbrite, Meetup, or Facebook Interest Groups, a quick Google search will show you a list of events you can attend. Once you go, ask around for what event (or events) is known as the one where all the “real players” go, and then simply start attending that one on a regular basis. You can also ask who the major buy-and-hold investors, the main rehabbers, and the biggest turn-key companies are in the market — there should be plenty of people who will know. Pro Tip: Try to get some face time with the people who are hosting these events. Typically, they are some of the bigger players in the market or at least know them personally. When you finally bump into an ideal buyer, do not promote yourself. Rather, simply ask about their business, their buying criteria, and their biggest pain points. If they say yes, they’ll likely have a business card of some kind, and you can manually add their contact details to your buyers list (even if it’s just an excel spreadsheet). In the same way that you market using direct mail to find motivated sellers, you can use direct mail to find motivated buyers! There are a couple of different data providers out there that can grant you access to recently sold properties. This is massively beneficial because once this data is obtained, you can pull a list of recent cash-buyers who bought around the particular property you're looking to sell. Being a licensed real estate agent and having access to your local MLS is probably the most direct way to accomplish this, but there are third-party data providers that can provide this to you for a fee (like DataTree, for example). Also, we have special discounted pricing for DataTree you if you'd like to use it! Your reputation is the lifeline of your business. If you don’t have a good reputation, then arguably, you don’t have a viable business. There are a number of different things you can do to establish your brand: Things like starting a blog, a podcast or a YouTube channel can do wonders in terms of helping you stand out from the crowd. At Simple Wholesaling, we did all of the above (and more). We joined speaking panels, contributed to the blog at BiggerPockets, established our own monthly meetup, and networked with any and everyone we could… and it worked! To this day, in the real estate investing world of Indianapolis, you won’t go very far without running into the name Simple Wholesaling. The key is to get out there and provide value to as many people as possible. In return, people will talk, and sooner or later, you’ll get a reputation for being trustworthy and reliable. When people hear word-of-mouth from others that you’re the real deal, you’ll get buyers from all over the place! 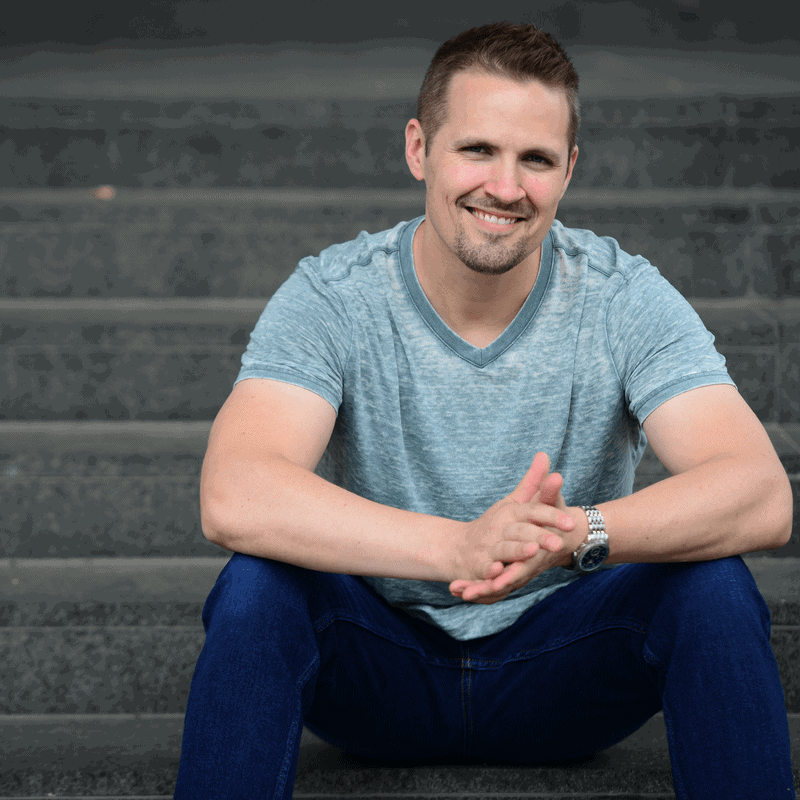 I can remember at least three recurring customers from California that found Simple Wholesaling through BiggerPockets or through the Simple Wholesaling podcast. Branding is a long-term play. You won’t see results immediately, and it can be hard to quantify and track, but in the end, establishing a name for yourself is the most powerful thing you can do to for the long-term success of your business. Another fantastic source of buyers is real estate agents — or at least, those with investor clients. Even though they are few and far between, there are typically a handful of investor-friendly agents in every market. If you find one, establishing a working relationship can be fantastic for your business. Yes, you might have to pay out commissions, but if you continuously have properties for their clients who are actively buying, a lot of the time, you can work out a deal to lower their commission, due to the fact that they can count on ongoing transactions with you. When it comes to working with real estate agents, don’t side-step them and work directly with their buyers. This is a fast way to ruin your reputation! Think of the real estate agent in the same way you would your buyer, and add these agents to your buyers list. They will, in turn, send these properties out to their buyers. Another great way to get buyer leads is by simply placing bandit signs in the front yard of your property and at the entrances of the neighborhood. 123 Main St. 3/2 bath, 900 sq ft. Call Today — Won’t Last Long! You’d be shocked at how effective a little yellow sign can be. Local investors will call you all day long asking about properties, and each time they do, you can ask them to join your buyers list. The final way to find buyers as a real estate wholesaler is to be exceptional at advertising your properties. In the next section, I’m going to cover exactly how you can do that. For now, though, the point I’m trying to make is that with all of your advertising efforts, you need to have a clear call to action for them to join your buyers list. Then, you need to have a system in place where it’s easy to keep track of everyone who decides to do so. There are a number of different software providers out there who are designed to help you do this. Two solid options are MailChimp and Constant Contact. The most basic thing you can have is a single-page website called a “landing page” or a “squeeze page” that has an opt-in for an email, and then your email service provider will take care of the rest. Remember when I said I would break down the entire dispositions work process into nothing but a simple checklist? 100% Privacy. NO SPAM. Unsubscribe at any time. A) The first thing we want to do is prepare the property for sale. Sometimes, you’ll need to clean it out if there is a lot of junk left over from the former owner, but take note this is not a deep clean. These are distressed properties, so the only reason you’d clean it out is if there was so much trash and junk that your buyers couldn’t clearly see what kind of work needed to be done when they did their walkthrough. Next, you’ll want to place a lockbox on the property (assuming that it’s vacant). At Simple Wholesaling, we set up the same lockbox code for all of our properties so that buyers could easily help themselves in and out of the properties. This saved us a considerable amount of time because we no longer had to meet the buyers in-person to show the property (unless it was tenant-occupied). On the rare occasion that this gave us some problems, all we had to do was change the lockbox combo and inform the new buyer leads that the code was different for this property. After that, you’ll want to put up your yellow bandit signs in front of the property and at the neighborhood entrances (I recommend at least three signs per property, as a general rule of thumb). B) & C) Once this is set, you’ll want to take professional pictures and, if you’re able to, conduct a video walkthrough of the property, even if it’s just with your cell phone. Having great pictures and a video of the property will immensely help your buyers and make you stand out from the crowd. At Simple Wholesaling, there were many properties we sold based solely on the pictures and video, sometimes without the buyer ever stepping inside the property! There are some restrictions on this with tenant-occupied properties. Sometimes, they’ll let you take pictures and do a video walkthrough, but other times they will not. Do the best you can, but tenant-occupied properties are always a lot more hands-on, so just be prepared for that. D) Next, you’ll want to create a property sales presentation. This is a PDF that highlights all of the relevant information of the property. It shows the pictures, the bed/bath ratio, comps, parcel maps, and more. A) After we’ve prepared the property for market, we now want to give preference to our best buyers. Let them have the first option to buy. These are the folks who buy from you every single month — those who know, like and trust you and are a pleasure to work with. Master their criteria, learn their birthdays and special events. Send them Christmas presents and free tickets to ball games — spoil the heck out of them! Because of the 80/20 Principle, these guys are truly the lifeline of your business, so you want to keep them happy for years to come. Send the video walkthrough and property sales presentation to these buyers first, before you even upload it to your website. B) If your top buyers aren’t interested (or they’re dragging their feet to get back to you), upload the sales presentation and the video walkthrough to your selling website. Having a site that clearly displays all of your inventory in one place is one of the best things you can do as a real estate wholesaler. It makes it so convenient for your buyers to work with you, and most wholesalers don’t do it. I remember buyers telling me that they thought our prices were a little higher than most wholesalers, but when they could make the numbers work, they’d still prefer to work with us because of how easy it was. They could run all their initial due diligence just by going to the website, even before they called us! The easier you can make the buying process for your clients, the more you’ll sell. C) After you’ve uploaded the new property details to your site, you’ll want to conduct an email blast to your entire buyers list. Sometimes, you won’t hear from people who are on there for years, and then, all of a sudden, they’ll pop up out of nowhere and want to buy a property. I suggest sending out an email blast once or twice a week — with the main objective of highlighting all of your inventory, with the newest ones at the top. Certain ad platforms won’t allow you to post links to other websites (like Craigslist, for example). If that’s the case, when people call in, you’ll want to frequently ask if they’d like to join your buyer’s list and add them manually. Being licensed really helped us thrive at Simple Wholesaling. There were times when sales from the MLS were what saved us from losing money for the month. Retail agents can sometimes be annoying to work with, simply because they’re ignorant of the way investors think and sometimes the MLS itself might try and police what you can and cannot promote on your website. Overall, though, the pros far outweighed the cons. I’d highly recommend getting your real estate license as a wholesaler. RELATED: Should Real Estate Investors Get Their Realtor's License? When you wholesale through assignments, you enter into a purchase agreement with a motivated seller and then turn around and sell the buying rights of the contract (i.e. – selling the paper itself). Some wholesalers will intentionally try to keep their sellers in the dark about the mechanics of how the deal works, so they don’t get freaked out and back out of the deal. I strongly suggest you not handle your deals this way, because when you’re open with the seller about the fact that you’ll find an end buyer, they’ll typically be much easier to work with and will allow you to do many (if not all) of the things mentioned above. When you wholesale a property through an assignment, you'll be much more limited in what you can do to market the property. You won't be able to get good pictures, let alone a video of the property. You can't put a lockbox on the property for showings (unless the seller is out of the area and the property is vacant — but even then, you're technically breaking and entering, if you don’t have seller permission to do this). You can't easily list this property online because, if the seller found out and saw that you're listing it for higher than what you’ve agreed to pay them, it could easily ruin the deal. You can’t put signs out in front of the property. You can't work with real estate agents or post properties on the MLS because you don't own the property. The only thing I could see you doing is making a basic sales presentation using only the data you can gather online and sending it out to your buyers list. You might get away with a Craigslist ad here or there, but again, there is a big risk if the seller sees it. This still could work as a business model, especially if you had only one or two major buyers who understood assignments, but you’ll be facing a significant amount of limitations all the same. One suggestion I’d make, if you go with this method of wholesaling, is to consider having a website that requires user logins. If you have a password-protected login for buyers to view your inventory, then you’d still be able to have a centralized place to display your properties, but people who are not on your list won't be able to see the inventory (including your seller). Again, I don’t recommend this, I think if you’re going to wholesale through assignments, you might as well become a real estate agent who specializes in working with motivated sellers, establish a listing agreement with them, and then market to investor-buyers. This way, you can still get the perks of not having to put your money in the deal, while still being able to do all of the above-mentioned marketing activities. You could then simply negotiate a higher commission and ask for the buyer to pay for it. Most investors wouldn’t mind this because it’s essentially the same thing as an assignment fee, just structured differently. When it comes to wholesaling through a double close, the restrictions are very similar to wholesaling through assignments. Again, to recap, a double close is where you enter into a purchase agreement with a motivated seller and then arrange for the end buyer to fund BOTH the transaction between you and the seller, and between you and them – and this all happens simultaneously at the closing table. Let's say you have a purchase agreement in place for $15,000 with a motivated seller, and you find an end-buyer who will pay $25,000 for the property. You schedule two closings for the same day and have the end-buyer sign off their consent that the funds of this transaction will be used to purchase the property from the original seller. The motivated seller walks away with $15,000, the end buyer walks away with the property, and you walk away with $10,000. The nice thing about a double close is that the end-buyer doesn't have to know how much money you're making from the deal, whereas with assignments they do. The big key in all this is transparency and permission. If you can properly frame the mindset of your seller by being honest and upfront about what's happening, you can get a lot of permission to do what you need to do to market the property. But please: Don’t EVER do something without the permission of the seller! Many wholesalers do, and it makes all of us look bad as an industry. “I’m a real estate investor who finds unwanted, distressed properties and I connect them with investors who flip houses or rent out properties as landlords. When people have a property they want to get rid of for fast cash, I’m happy to pay them cash and close quickly, because I have the connections with people who need this kind of inventory for their businesses. If you frame it this way, and they agree, asking them to do any of the above-mentioned marketing activities would be a no-brainer because they know you’re trying to find them a buyer. Again, it’s probably cleaner to do this as a real estate agent, but if you don’t want to disclose your profit margin to your end-buyer, doing a double close might be the route you want to go. In the next article, we will cover the final business department: Transactions. I’ll give examples of what contracts you need for all three methods of wholesaling, what you need to be aware of when it comes to closings, what to looks for in a good title company and more. See you next time! Jaren Barnes is a real estate investor and licensed agent with over five years experience in the industry. He served as the Head of Dispositions for Simple Wholesaling, a Contributor and Support Administrator for BiggerPockets.com and he is the Founder of CheapLandDeals.org, where he actively flips vacant land. He currently serves as the Senior Creative Director for REtipster.com - an online community that offers real-world guidance for real estate investors.